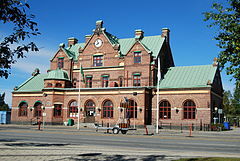 This part will be about the time in Lycksele, a small town in the north of Sweden. I moved to Lyckslele the same year, as i turned 18 years old. A year later I applied to a course in restaurant - and food service training. 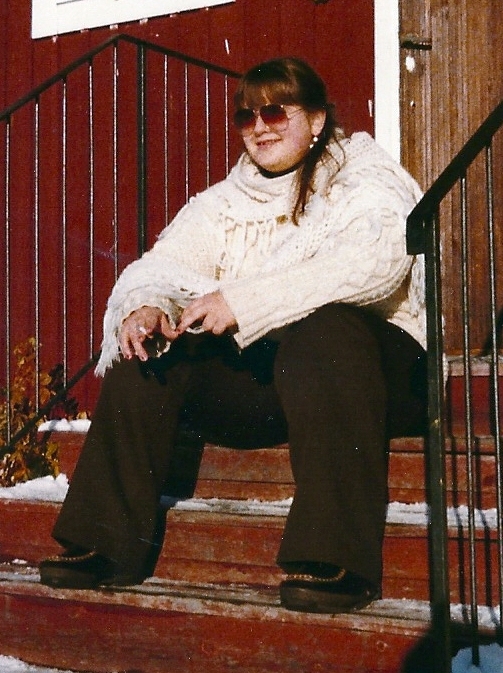 In that school I became friend with a woman who told me about her over weight friend wich had done a "shunt-surgery" at the hospital in Lycksele and lost about 50 kilos and felt sooo good! 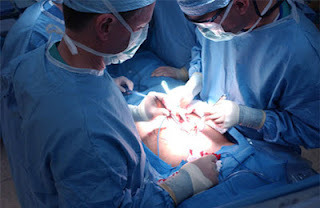 I had never heard about such things before; that you actually could do a surgery wich could help you to gain normal weight, but at the same time it also sounded very scary. I was definitlly over weight but, to do a surgery to get slim? Creepy! I was terrified for needles, knifes and sharp things and just the thought of putting my self in that situation sounded very scary. Included in the restaurant-education we had to do a health examination and when I met the doctor I told him about my thoughts of this type of surgery. He listened to me, noticed my tears and desperation and said to me that he could put me on a waitinglist för this surgery because he was one of the surgeons who performed this special surgery. I asked about meeting a psychologist, during the year who was the normal time to wait for the surgery. I felt that I wasn't really ready emotionally for this big step of changes. There is not much info on the internet about this type of Intestinal bypass because it is not performed anymore. The food you eat will pass faster through your intestinals because the small intestine is shortened by.... meters? It was meters but how many, I don't remember. Full length of your small intestant is 10 meters anyway. Well...I got a year to think about this! Or not...I was put in line in november 1981 and in january 1982 I got a letter from the hospital that I was welcome to take blood samples before the surgery in...february!!! I didn't get that year of menthal preparation at all! Suddenly I was laying on a gurney and gave 15 tubes of blood! 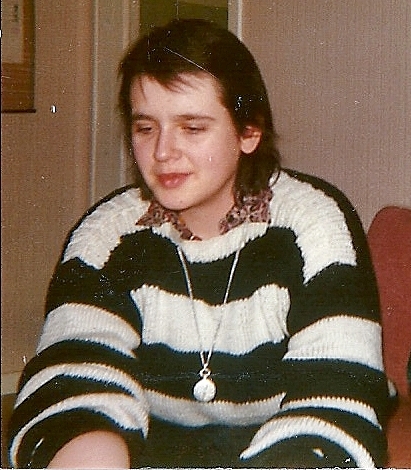 Yes, I am not kidding - it was fifteen! I got x-rayed, examined and all sorts of things to be sure that I was healthy enough to make this surgery. - When you stop to throw up. One day I didn't throw up and left the hospital the same day. Happy, I went out to my mum and had dinner there and in the same moment I stepped out of the car, outside my own home I threw up the whole dinner. I got registered again, and got IV and the same thing was said: - You can go home when you stop to throw up. This situation was repeated for the next period of time: Went home, started to trhow up, went back, stopped throwing up for a day and went back home and return back to the hospital when I couldn't handle the vomiting, my self. The doctors didn't know what to do and startet to say that this might be a psychological reaction, that I had anorexia. I got very angry when they said it, because I was completley sure, that I definitly didn't had any Anorexia! But when I didn't become any better in may, my whole existence was so drained of energy, I just said: - Send me to the psychiatric ward or where ever you want - as long as I stop throwing up! In May they sent me to the psychiatric ward in Umeå University Hospital (140 km away from Lycksele). I got my first anxiety attacks when the food was served and my tastebuds (palates)had stopped working so everything I ate tasted like paper. I was treated as IF I had anorexia, wich meant that I had company by a nurse at the dinnertable and during the rest after eating as support to not throw up all of the food again. That didn't work at all - I didn't keep my food more than a minute or a copple before I ran in to the toilett and threw all up again. They gave me psychotropic drugs against anxiety and depression wich also was to stop feeling nausea. But they missed that I never felt nausea! I just threw up! Because I was in the hospital of free will I could also go back home if I wanted to. I just hated to be in the hospital so I tried to go home at least every weekend. The demand from the doctors was that my mineral levels was normal (potassium, calcium, sodium). They gave me this minerals as supplements every day. My levels was always to low but I went home anyway. They couldn't stop me! Sometimes I was in such bad shape, that I couldn't manage to stay home for the weekend and ended up in the emergancy in Lycksele and got transported back in ambulance or taxi to Umeå. It is hard to write about this, partley because I don't rember all and those recollections is just fragments of tubes of blood, IV, vommits, anxiety, depressions, tears, pain, loosing weight, medicines and therapy. Depending on wich of me who was in worst shape I was in different departments of the hospital also. If I was in mentally bad shape I was in the psychiatric ward and if I was physcially worse I was in medicine departments. Half of the hospital knew me! In the summer the psychiatric award closed for two weeks and I wanted to go to Ulricheamn (my hometown in the southwest of Sweden) to spend theese weeks with my dad and brother. I started to vommit so badly in the train down to the Ulricehamn (to travel with train from Lycksele to Ulricehamn is around 18 hours) so when my brother met me at the trainstation, he almost had to carry me to the car...I also had gained burning wonds on my legs, feet and arms because of tanning wich is not a good thing to do when you don't have enough fluid, minerals and vitamins in your body. I got second degree burning blisters. Because of this state of my body, I also had some kind of pain inside of my feet and legs at the same time. The pain was so bad that I couldn't walk so much at all. I got weaker and went in to the hospital in Borås (neighbour town) and the doctors wanted me to immediately go back to Umeå. But I got worse so there was no other option. My brother practically carried me in to the train (again)...and the morning after when I arrived, I crawled out from the train and sat down on the stairs in front of the station house and waved to a taxi driver who drove me to the hospital. Time to change ward apartment! Tappde håret så jag var tvungen att klippa mig kort. By that time I was a zombie/ a living dead. I got a Central venous catheter and got blood, fat, vitamins and minerals through that. All the stuff a person needs to not die and as a bonus I got 24 hours surveillance from the hospital staff. I was never alone but not especially social to be with either. It was just annoying to have a person sitting in my room and followed me when I wanted to smoke, (I chainedsmoked 2-3 cigarettes at the same time) and tried to cheer me up. I hardly answered when they switched from one person to another. They said that they had to monitor me because of the CVK, wich could kill me if there was any air bubbles in it but afterwards I found out that they thoght I was suicidal. By that time I had lost 65 kilos since february - in less than six months. Somewhere inside of my dark inner mind I thought: IF this is goingt to continue I want to die but I hadn't given up...yet..but this was no life. I didn't live, just existed. I nagged daily about going to the hospital in Lycksele - I wanted to at least se my home from the window. After a copple of weeks I started to feel a little bit better and slowly came out of my black cocoon. I remember a friend came for a visit and I actually laughed (wich I completly stopped doing) and also asked for a slice of pizza. He bought it for me and I ate it with appetite and didn't threw it up! I was so HAPPY! The doctors noticed the improvment and thought it was okey to transfer me to Lycksele. When I arrived to the hospital in Lycksele the director of surgery told me that I HAD to re-operate! (You could actually put back the part of the small intenstent wich they had disconnected.) I got really upset because I felt that I was getting better! They didn't want to listen to me and just pointed out that they would do it no matter if I improved or not. The reason was that I was slowly dying. I got strict orders to not to talk to the other patients at the ward about the reason of me being there - it could worry those patients who was doing the same surgery as me. After a week I was sent home! I remember I went to the restaurant where my friends used to hang out and ordered the food of the day, ate as much as I could and didn't throw it up! I don't remember why or what really happend but I had to go back to the hospital again. I had so much pain in my legs and feet that I couldn't sleep more than 30 minutes at most, so after about a week I couldn't stand it anymore. The night nurse gave me lots of sleeping pills and I slept for an hour and got some more sleeping pills wich didn't change the fact that I woke up again. She told me the day after that she had never given anyone that big amount of sleeping pills ever, and not even sleep on it...the pain was to hard. - I realised that I was sick and I needed help or else I wouldn't get well. I went trough many different states and prolems theese period but I can´t write about it - it is just a blur of memories in my head. Almost exactly a year after I could leave the hospital in Umeå and go home. I had lost 65 kilos and had memories with me wich was so painful that I didn't want to remember them. - Take it easy. You will not gain more weight now. We can't do anything for you. They really didn't want to have anything to do with me anymore - I was a failed example. Got that confirmed when one of the daily News Papers found me and did an interview about my hell-year. A journalist talked to me for two hours and also told me that she had to get an approval from the hospital before she could publish it in the newspaper. She never got that approval. My case was closed for the public. I gained all my weight back but it took a copple of years. It took even longer time to recover mentally...if I ever did. It still hurts to think and write about that year. The year I lost in my life. The next parts will be about the years to the next surgery.